The industries in Kerala are launching a mission to rejuvenate and reinvent the state with a series of projects and initiatives. 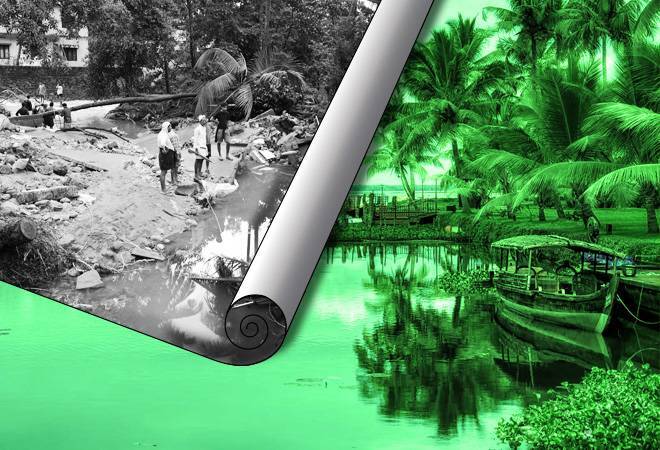 Flood-ravaged businesses in Kerala are on a comeback trail. Along with the state government and other stakeholders, the industries in Kerala are launching a mission to rejuvenate and reinvent the state with a series of projects and initiatives. These include 'Ayurstart'-a mission to create 250 Ayurveda and related sector start-ups, tripling annual revenues of $1.5 billion from Ayurvedic tourism to near $4.5-5 billion by 2025, commodity branding, green development and revitalising the thriving food industry. Dr. S. Saji Kumar, CII-Kerala Chapter and MD and CEO at Dhathri Ayurveda says one of the main initiatives would be to launch 'Ayurstart', to create a large-scale eco-system for promoting Ayurveda in the state with next generation technologies. "The vision is to create 250 start-ups in the state that can scale up to become Rs 50 crore each in revenue within 5-7 years, leveraging technologies and value addition options related to Ayurveda. We will mentor them, provide the necessary marketing and branding support, besides seed funding," he said. As starters, CII has chosen about ten start-ups in the field. In the worst-ever floods that ravaged the state in September, industries in the state had an estimated loss of over Rs 25,000-35,000 crore. The floods severally hit sectors like hotels, travel and tourism, plywood, handloom and furniture clusters, plantation industries, food processing companies sector etc., as most of these industries are located on banks of the 44 rivers in the state. Post floods, the recent Kerala Travel Mart, was a big success and was instrumental in ensuring tourists coming back to the state. One of the largest consumer states in the country, recently Kerala also witnessed better consumer goods sales, thanks to the festival season. However, apart from export-oriented businesses like IT, most other businesses are yet to come back to normalcy, said industrialists in the state. Sajikumar said another initiative is to revive the food processing sector as part of rebuilding Kerala. CII is organising a 'Food Summit' in Kochi this month with the theme 'Made in Kerala, Going Global'. The event will look at strategies to tap overseas markets, develop raw material sources in Kerala for food processing, innovations in packaging and business models and services, affordable waste management practices and creation of a support eco-system for food processing industries in the state. Another idea being worked out is to brand Kerala specific commodities such as spices globally. "Projects on sustainable development through health and medical tourism, clean Kerala and 'green' development in future are some of the initiatives being launched by the business community in the state with the support of the state government and other stakeholders," said Sajikumar.